Local Ballymena firm Doherty & Gray have introduced a fantastic new premium range of locally produced gourmet steak burgers into the market, perfectly timed for the start of the BBQ season. Under ‘Hull’s Platinum Collection’ branding, the range will offer a locally produced premium quality burger with striking shelf appeal. Superior production techniques are used to deliver a rustic open textured burger for an enhanced eating experience and one that will definitely appeal to consumers, as it is this ‘hand-made style’ burger that is delivering the growth within the category. The initial three products available will be a succulent 6oz steak burger (340g) at £2.50 RSP and a 4oz Steak burger (454g) and 4oz Peppered steak burger (454g) both with a £3.00 RSP. These products are made with a high 90% meat content and will be available 52 weeks of the year with further exciting brand developments to be announced. 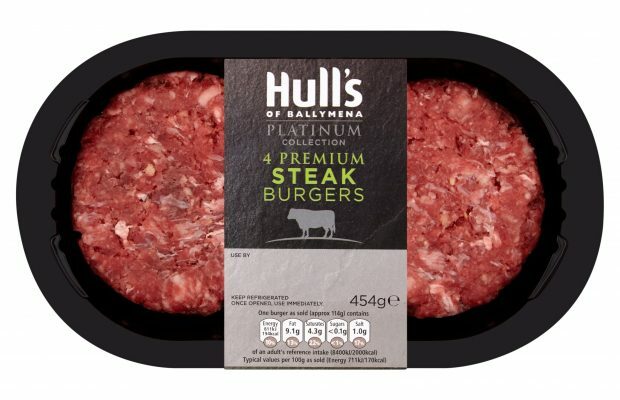 The general appetite for premium, gourmet burgers continues to grow and the Hull’s Platinum Collection range follows a £200k investment in the latest production and packaging equipment that will be sure to step change and provide growth to the branded burger market within Northern Ireland. 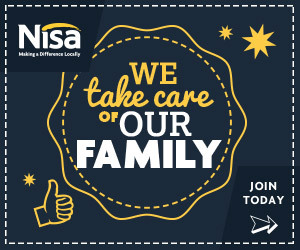 All products are presented in premium packaging and are gas flushed to maintain the best possible product quality for consumers and retailers. Also available for the summer will be new & improved Hulls 4oz beef burgers 454g, BBQ Pack and a range of Hot Dogs 400g ( Pork, Smokey BBQ, Chilli Beef ) – helping retailers maximise the full summer BBQ sales potential.